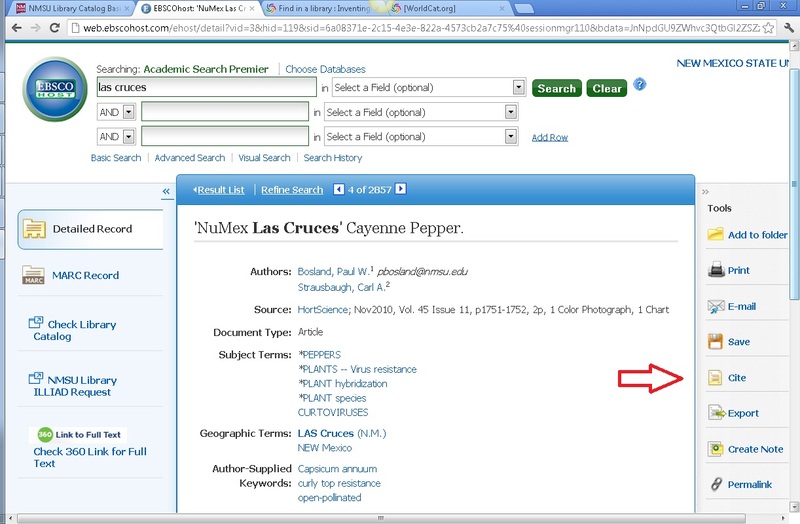 Many library databases and catalogs have quick links for creating citations. See below for an example. 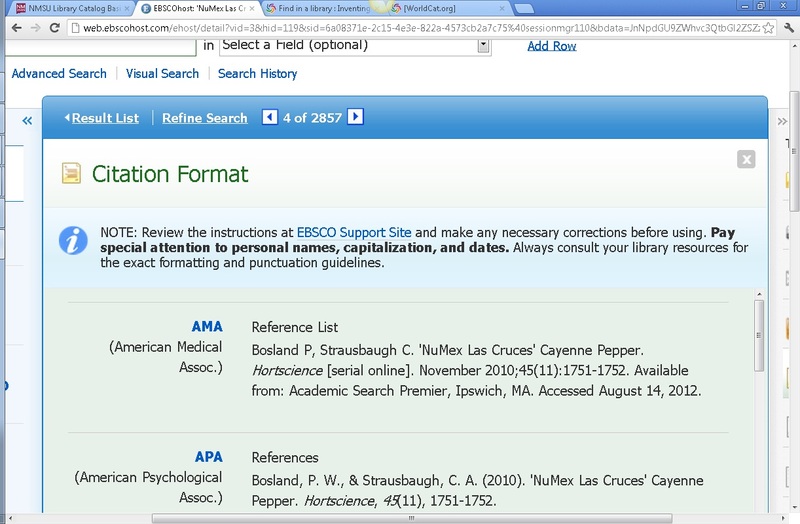 Use the tabs on the left to find citation tools for a variety of styles. Click the Cite link that appears next to your article. Available citation styles will be displayed for your use.